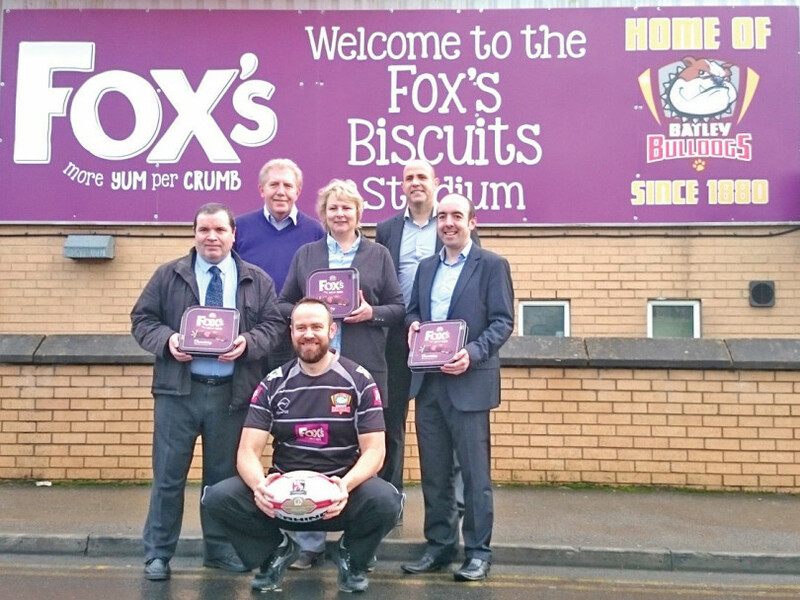 BATLEY BULLDOGS have announced a two-year sponsorship deal with local firm Fox’s Biscuits. Part of the new agreement will see Batley’s Mount Pleasant ground re-named the Fox’s Biscuits Stadium. Fox’s is already the official community partner of the club and provides significant funding to support their existing and extensive community programme along with a local schools sporting bursary. The local firm, based on nearby Wellington Street, is the town’s largest employer with hundreds of staff working at its Batley factory. Fox’s operational support manager Tom Phillips said: “Most of our employees live and have been brought up in Batley and we want to get more involved with the community. “We see a partnership with the Bulldogs as a great way to get involved in the community and we hope this is the start of a partnership which will last for many years to come. Bulldogs chief executive Paul Harrison added: “Having the largest company in Batley back on board is very exciting. “Fox’s Biscuits have helped us, as a club, to be able to get back out into the community which we have not been able to do in recent times. From initial contact with Fox’s before the Castleford Challenge Cup tie, we have built up our partnership and sponsoring the stadium was the next step. “The link between Fox’s Biscuits and the Batley club is one of great fondness for everyone associated with the Bulldogs and harks back to the days when the then Batley RLFC carried the iconic Fox’s branding on our shirts dating back to the 1990s. The historic Mount Pleasant ground, home of the club since 1880, will be renamed The Fox’s Biscuits Stadium as part of a sponsorship deal that will also see the new Fox’s logo appearing on home, away and training kits from 2015. General manager of Fox’s Biscuits, Batley, Simon Lock said: “We have been absolutely delighted with the progress that Jon Humpleby and the team have made in delivering community activities over the past few months and wanted to recognise this by extending our support of the club. A number of new signs with the sponsors logo and slogan ‘more yum per crumb’ have already been mounted around the stadium. The Bulldogs will play in their newly-named stadium for the first time when they take on Dewsbury in their annual Boxing Day derby match.